JMT transformed an oceanside main street with modern public amenities, streetscape enhancements, complete roadway and utility infrastructure replacements, and new iconic features. 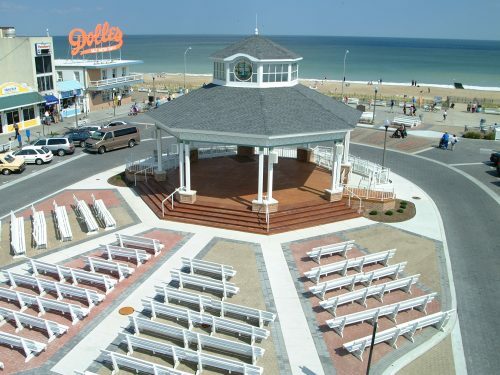 Rehoboth Beach, a year-round resort town, supports 100,000 visitors during peak weekends and hosts dozens of special events for families and tourists. 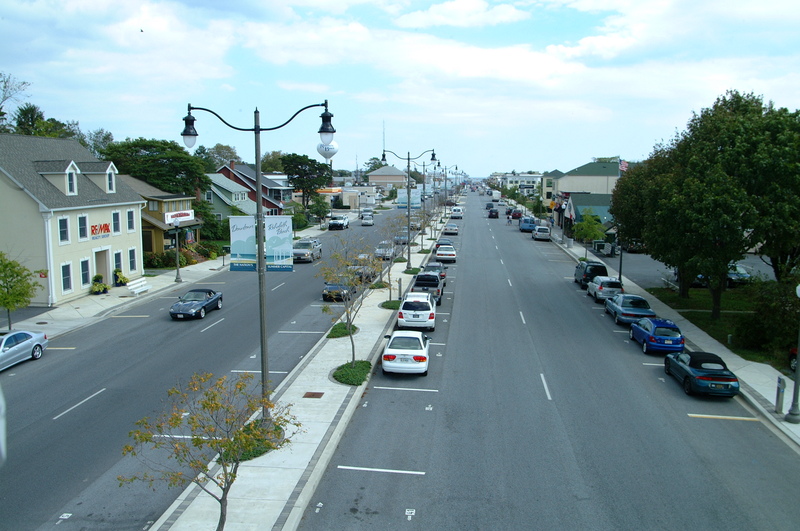 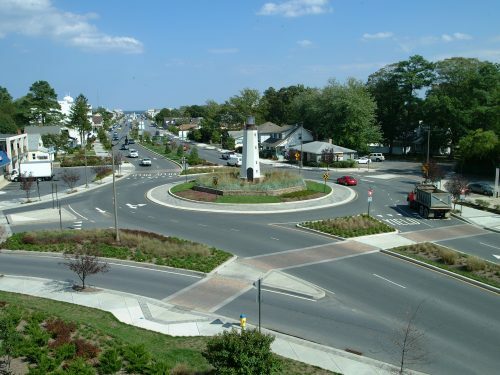 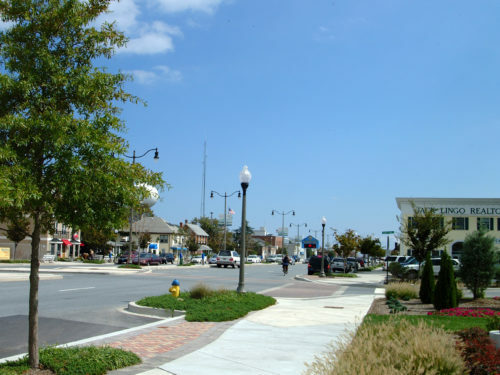 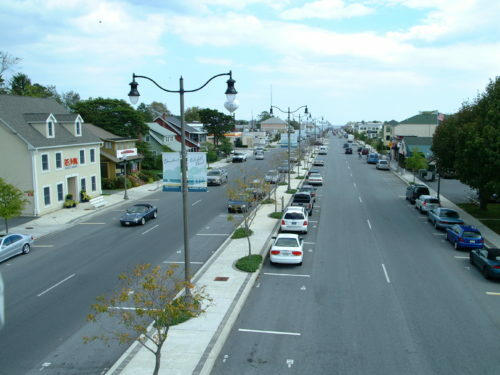 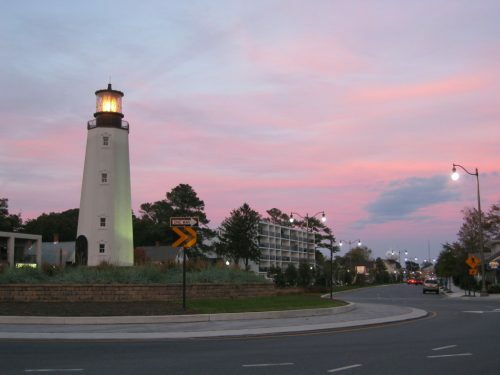 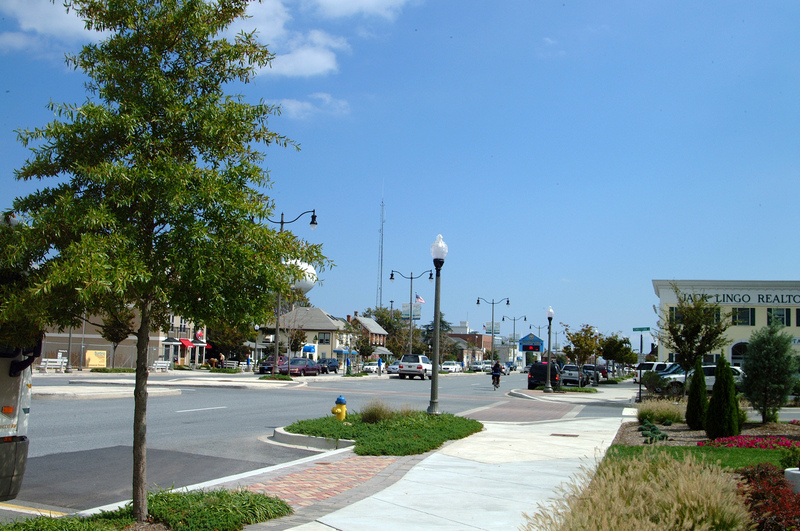 JMT was contracted to perform project planning and engineering analyses of the infrastructure along the City’s main street, Rehoboth Avenue (SR 1A), which is home to City Hall, a convention center, post office, library, city park, more than 200 small businesses and 100 residential dwelling units, and several public gathering spaces. 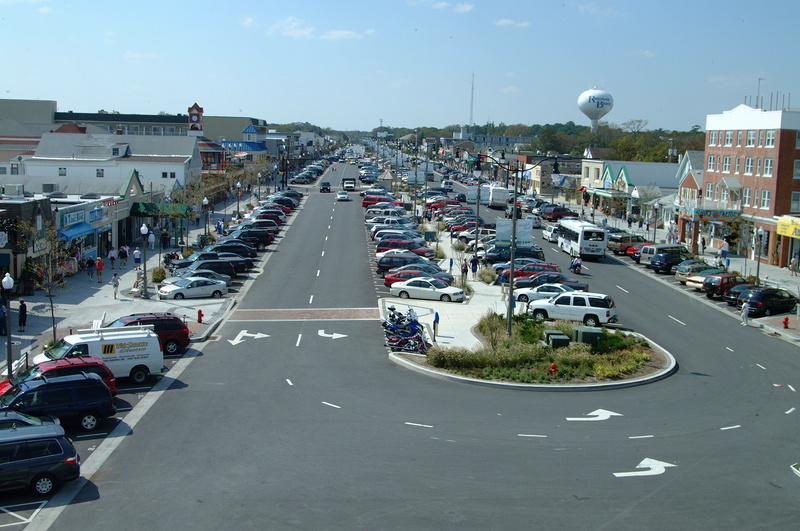 The initial goals of the project were to improve pedestrian, bicycle, transit and vehicular access while retaining the same number of on-street parking spaces. 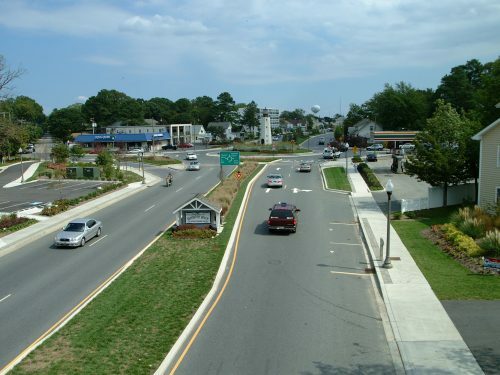 The City quickly recognized the time and cost advantages of completing other needed infrastructure reconstruction and enhancing the economic vitality of the downtown area concurrent with the roadway improvements. 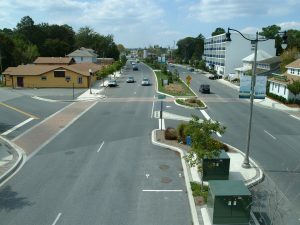 The project included a complete utility upgrade as well as improvements to vehicular, pedestrian and bicycle movements, reconfiguration of on-street parking, roadway and pedestrian lighting, reconfiguration of intersections, new traffic signals, streetscape elements and enhanced landscape installations. 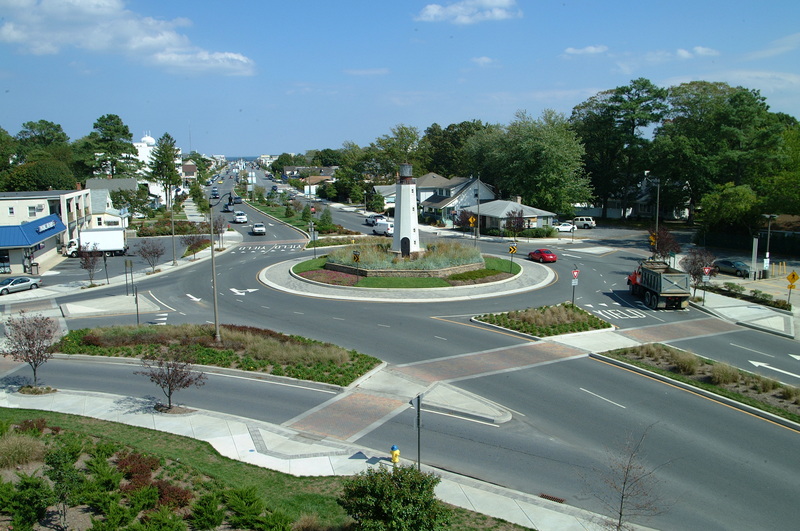 Over a multi-year span, JMT was responsible for designing public infrastructure elements such as: full utility reconstruction and undergrounding; replacement of public restroom facilities; a new City office building; addition of a pavilion, public square and veterans’ memorial adjacent to the boardwalk; gateway enhancements highlighted by a new roundabout; and transportation improvements to enhance parking, operations, and safety for motorists, pedestrians, and bicyclists. Because of funding limitations and to minimize impacts on businesses and residents, priorities needed to be established. 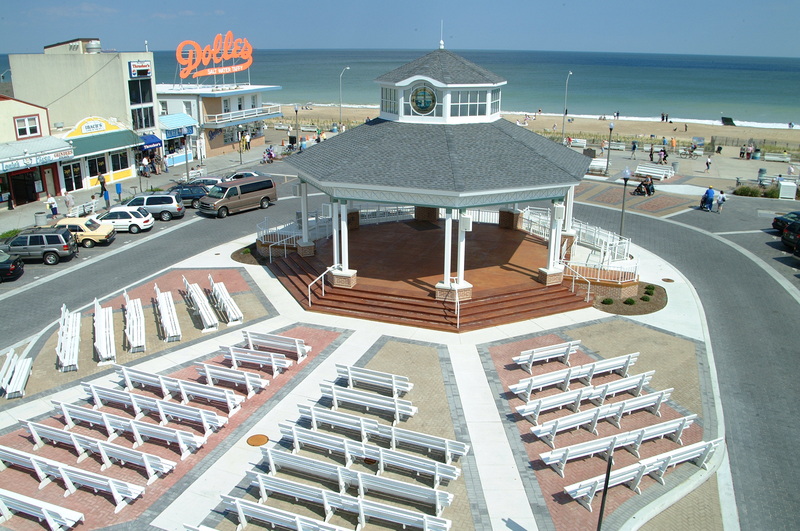 The improvements were constructed in phases, off season during winter and spring, to avoid the summer months, Rehoboth’s busiest season. 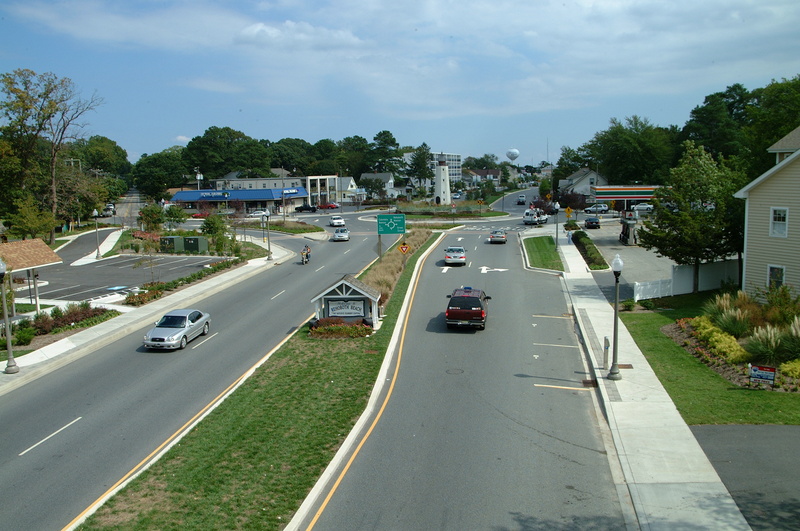 JMT led an extensive public involvement program, including more than 20 public meetings, to incorporate local input and build consensus for the changes as well as to resolve issues related to potential impacts to businesses during construction. 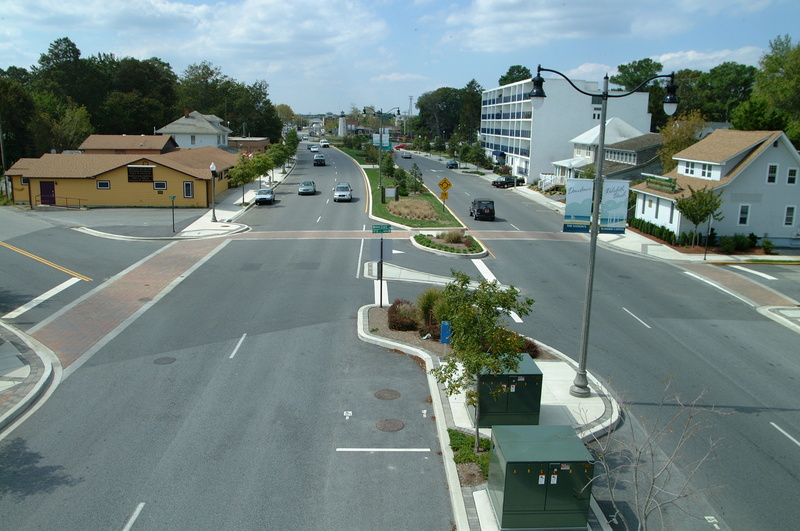 Our graphic artists developed before-and-after renderings from aerial and ground perspectives to help City officials and the public to visualize the potential solutions. 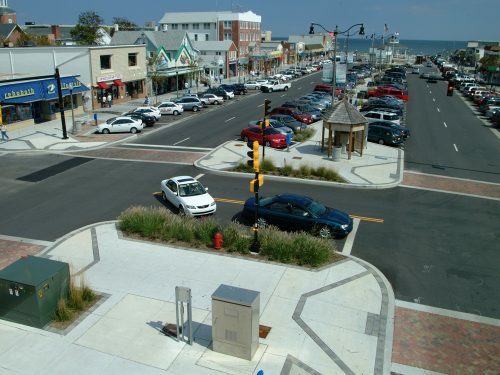 The area now benefits from a new public gathering space adjacent to the boardwalk and beach, a new roundabout — the first in Delaware — serving as a gateway and traffic calming device, the removal of all overhead utilities, wider sidewalks, and a more efficient parking configuration. 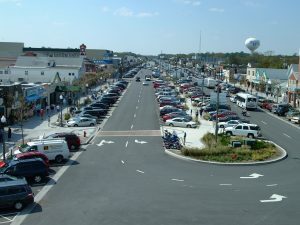 JMT services included transportation planning, traffic studies, roadway design, utility relocation design, architecture, landscape architecture, field surveys, right-of-way, civil, structural and M/E/P engineering design for all facilities, and construction management and inspection of the entire project. 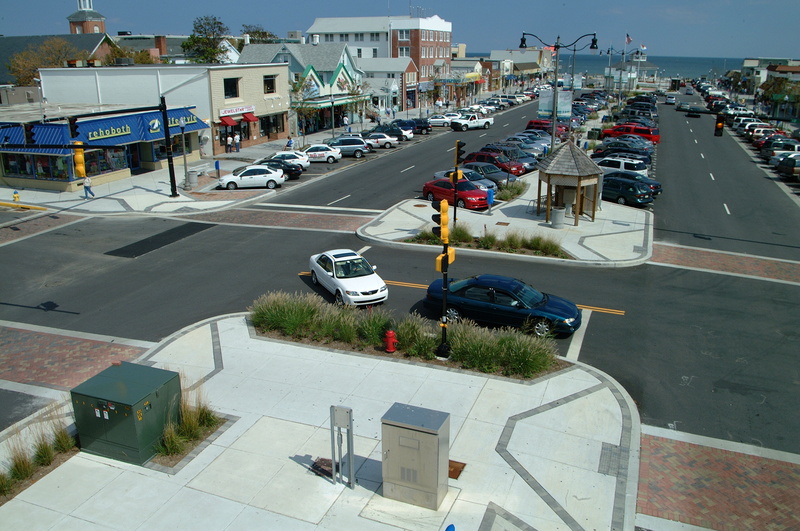 The look and feel of a family-oriented community was emphasized in the design, from a new public square and restrooms near the beach to safer intersection crossings and wider sidewalks. JMT even designed a replica of the former Cape Henlopen lighthouse to be placed in the center of the new roundabout, and we helped adapt historic structures such as a train station building and ice house to serve as a visitors center and museum. JMT worked continuously with City and state officials, business owners, and residents to incorporate their vision into the final product while coordinating with utility companies, contractors, and Delaware Department of Transportation to minimize impacts during construction of the complete infrastructure reconstruction. The project won multiple awards for design and construction achievement.